Suffering from a Tooth or Gum Infection? An infection in your tooth or gum, no matter how minute the area, is no small matter. The pain from a tooth or gum infection can, in fact, be so severe that it disrupts your whole day, leaving you with headaches and fever. Untreated, this can lead to serious and even life-threatening complications. How do teeth and gums get infected? Like in any part of your body, when bacteria enters a wound or open tissue, an infection can set it. This will cause painful swelling and redness, and soon the area will be filled with pus. In your teeth and gums, this is called a dental abscess. While the pus around the infection can be unpleasant, if not outright disgusting, it actually helps your body protect itself from spreading the infection. When it does spread, the result can be highly dangerous or even fatal. A periodontal abscess, or gum infection, occurs when the infection is between your tooth and gums. This happens when food debris gets stuck between the gum and tooth, causing decay. A periapical abscess, or tooth abscess, occurs when your tooth’s nerve is dying due to decay, damage or irritation. This results for the infection to occur at the bottom, or root, of your tooth. From here, the infection can easily spread to the surrounding bone, resulting in complications. Aside from being painful, tooth and gum infections can lead to more complex problems. And even if they are not painful, as some infections are, they will not go away on their own. 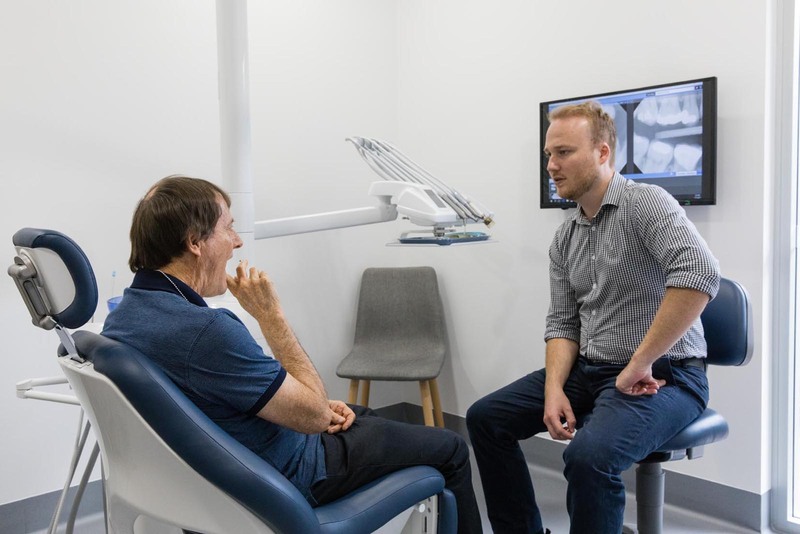 So either way, it’s always best to visit your trusted dentists right here in Caloundra, at Battery Hill Dental. Check out our prices for tooth infection solutions. Usually, we trace back the source of the infection and drain the abscess and clean out the infected area. If the infection is in the tooth, as in a periapical abscess, we will create a small hole in the tooth to drain any abscess and allow us access to the inside of the tooth for root canal treatment. Afterwards, we will close the hole with a filling or a crown. In cases when we can’t save the tooth because of extensive infection and the structure and strength of the tooth is compromised, we will extract the tooth. Afterwards, we can fashion dentures or bridges to fill in the missing teeth. Draining the abscess and cleaning out the area isn’t enough. The infection may just come back, so treating with antibiotics along with the appropriate dental procedure is also important.